In America, when a person turns 65, the culture declares him old. She becomes, in the egregiously patronizing term, a "senior citizen". Ready or not, Medicare kicks in. Employers push you out. Young people cease to see you, except to offer you their seat on the bus. You are invisible. Go sit in the corner and be quiet. Bales of unsolicited mail from health insurance companies hoping to cash in on Medicare present a contrasting picture of healthy, deliriously happy old people hiking in old growth forests, earbuds in, or engaged in strenuous athletic activities with expensive gear, laughing uproariously with an appropriate racially mixed group of old friends, teaching eager and happy grandchildren how to make bread or use tools, sharing birthday cake with them in handsome rooms with darkly stained wood walls, a view of the estate out the window where another smiling old woman with a watering can tends to acres of flowers and fruit trees, and a grinning man drives by in his red sports car. Nowhere is the dreaded "O" word seen. Nowhere is the inevitable end mentioned. No. 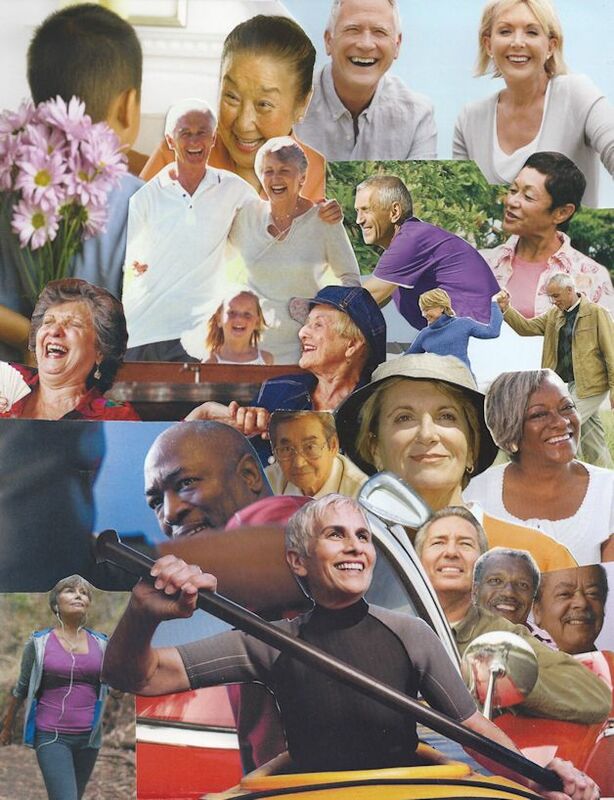 With the right insurance you will skip along with your (heterosexual only, please) spouse down the shady lane of your gated retirement community to fade happily, and fully insured, into the infinite future. In response to these clashing views, I choose to embrace geezerhood. 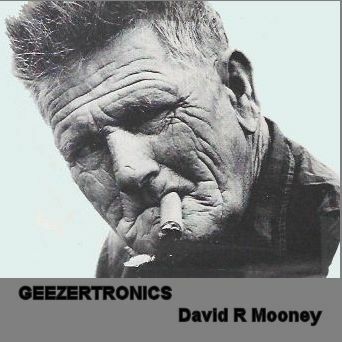 Geezertronics is a set of six works, each lasting ten minutes, that captures the lulling, somnambulistic, and ineluctable drift toward the "end of plan." *With apologies to Robert Fripp.